Ah it’s that wonderful time of year! 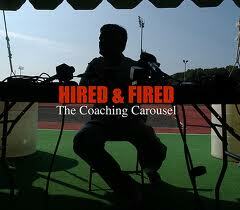 Coaches being fired, Merry Christmas! This is where you can see which franchises are constantly in the preverbal NFL toilet. For example, the Raiders are still considering firing their head coach Dennis Allen, after 2 year on the job in which the front office has publically stated they are tearing the team down to rebuild. At least give the head coach an opportunity. That would be like working as a doctor without nurses, medication, and hospital beds. But if you think that’s funny, trying being from Cleveland. 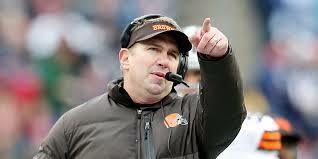 The Browns did fire their head coach, Rob Chudzinski, after his first season with the team. More on that ridiculousness later. Here are the current head coach openings: the Vikings, the Texans, the Lions, the Browns, the Redskins, and the Buccaneers. So which of these is the best? Taking a quick look, you have to like either the Lions or the Texans. Let’s dig a tad deeper. The Lions ended a disappointing 2013 campaign by finishing the season with 5 straight losses to miss a playoff berth. 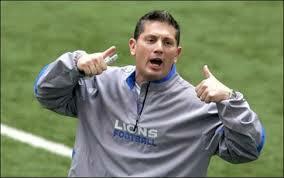 Jim Schwartz couldn’t hold on after 5 seasons with the team but there are pieces in place. The best receiver in football is locked up and a strong running back tandem in Reggie Bush and Joique Bell will have success behind an improving offensive line including Larry Warford and Riley Reiff. There is work to be done offensively in terms of finding another wideout to help Megatron, discovering if the talented but inconsistent Brandon Pettigrew is the answer at tight end, and continuing the improvement on the offensive line, but it is still this team’s strength. Defensively, there are some holes, especially in the secondary where the only safe starter is safety Louis Delmas. They desperately need help at corner and their linebacking core could use an upgrade. But they are strong along the defensive line with the devastating Suh and Fairley tandem in the middle along with the rising Ziggy Ansah coming off the edge. The pass rush is there for success. So the team looks strong and the front office and ownership has displayed loyalty in the past. But the most critical question is Matthew Stafford. His talent is there, and he has been a statistical monster the last few seasons. But he still has mechanical flaws and decision making issues that hold him back from being classified as elite. Overall though, not a lot to hate about his job, other than the fact that Aaron Rodgers plays in the same division. The Texans are also high on the list. This is a team that went 12-4 in 2012, but things crumbled to a 2-14 record in 2013 that cost Matt Schaub his quarterback job and saw Gary Kubiak get canned before the season ended. So why is this team so high on the list? The defense is still loaded. J.J. Watt is the best and most underrated defender in the league, the linebacking core is strong, the secondary is stronger, and if Brian Cushing can remain healthy there is room for improvement. Offensively there are a lot of positives. Andre Johnson and DeAndre Hopkins provide a great 1-2 punch at wideout, Arian Foster will be healthy and lethal again, and Duane Brown is a franchise left tackle. But the big question mark is the quarterback position. 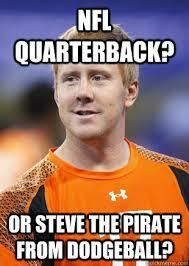 Schaub won’t be back and Case Keenum, my favorite gunslinger, isn’t the answer. The Brightside though is that #1 overall pick in the draft. So which job is better? A quick glance would say that the Lions are in a better spot for success with a franchise quarterback and the other pieces mentioned above. But if I were a candidate for both jobs I would lean towards the Texans and here is why. Both jobs have pressure to win right away but the AFC South is much more winnable than the NFC North. But the real reason I would choose the Texans is that I would get to choose my quarterback. This is very appealing. There is the possibility of Jay Cutler becoming a free agent plus a few other free agent and trade-bait options. This would allow the organization to go another way in the draft (Jadeveon Clowney? Anthony Barr?). Or Houston could draft say Teddy Bridgewater and hope they have snagged their franchise QB for the next decade plus. Either way, the new head coach gets to choose his man. 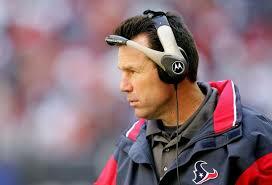 Head coaches like control and Houston is the most appealing in that aspect. That about sums up Cleveland’s ineptitude. Owner Jimmy Haslam and GM Joe Banner need to wake up. Banner should know. He was in Philadelphia during the 14-year Andy Reid era. While there were no Superbowls won, the Eagles had incredible success. The Steelers are another great example as stated in the above quote. 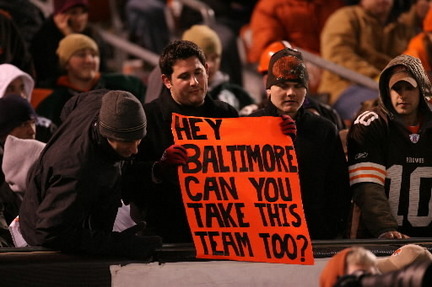 In fact, the last 4 coaches fired in the AFC North have been in Cleveland. There are a lot of other factors that go into team success, most importantly a franchise quarterback, which the Browns lack. But the head coach is extremely important. So for starters the ownership is extremely volatile and prone to rash decisions. How about the team? Here are the positives: Josh Gordon is an emerging stud at wide receiver, Joe Thomas and Alex Mack are stalwarts on the offensive line, Jordan Cameron has huge upside at tight end, Joe Haden is a lock-down corner, Barkevous Mingo and Paul Kruger anchor a growing defense, and they have two first round draft picks to work with plus gobs of cap space. But the negatives? Other than the fact that this is Cleveland? The complete lack of a plan and a franchise quarterback. They could solve that with going after someone in the draft. Names such as Johnny Manziel, Blake Broiles, and Derek Carr have been mentioned and all have huge upside. But this is Cleveland where they traded away their best quarterback in franchise history Bernie Kosar and have drafted bust after bust for years at the NFL’s most important position, so my confidence is limited to say the least. 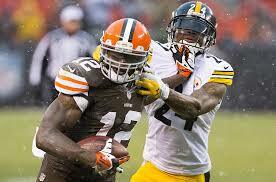 I want the Browns to be good, the city and the fans deserve it. But this ownership group certainly doesn’t. not yet. At least the Indians made the MLB playoffs. December 31, 2013 in Football, NFL.